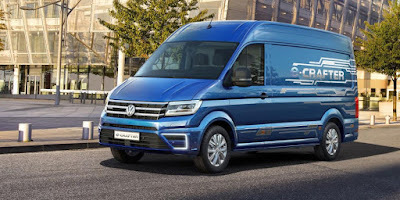 Volkswagen have unveiled a 100%-electric version of its Crafter delivery van at the Hannover commercial vehicle show in Germany. Powered by a 100 kW / 290 Nm electric motor fed by a 43 kWh lithium-ion battery pack, the e-Crafter concept can travel up to 200 km between charges. The batteries can be charged back up to 80% in 45 minutes using a 40 kW DC charger. 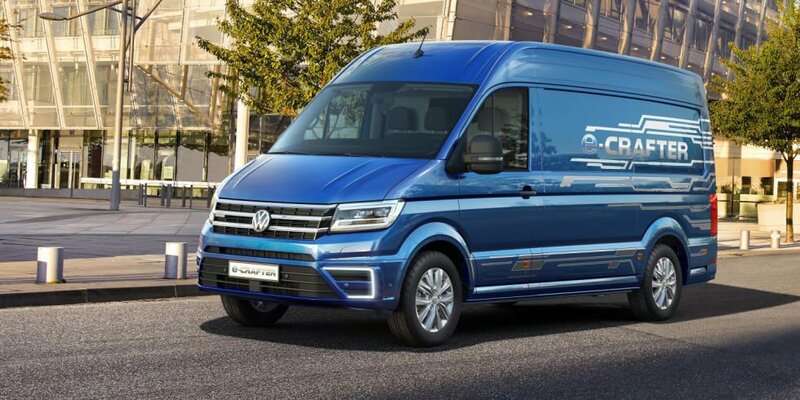 Anticipating future battery developments, the e-Crafter's design will allow a reconfigurable range of up to 400 kilometres when new technology becomes available.